Compounding medications for people is not the only focus for Montana Compounding Pharmacy. 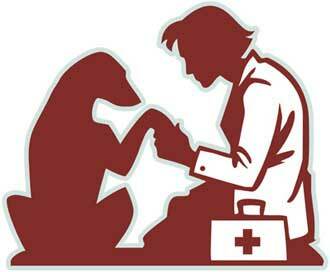 We help with veterinarians and animal care specialist who comprise one of our largest market sectors. Medications with low demand are usually discontinued by manufacturers. We can obtain the raw pharmaceutical chemicals and reproduce individualized unit doses in any delivery systems for your pet. Preparation of these products can rarely be performed at most traditional pharmacies. With our additional training and extensive equipment our innovated staff can help. Delivering medication to any animal is a difficult task. Finding the proper method is also a challenge. At Montana Compounding Pharmacy we prepare flavored medications that take the bitterness out of oral treatments and make animal compliance easier. Tuna flavored pastes for cats and liver flavored tablets for dogs often aid the administration process. Rectal rockets or enemas can aid with emergency medications. This is a valuable tool since prompt delivery of medication during a seizure can shorten both its severity and length of time. It is also a safe way for pet owners to deliver the medication. Anti seizure drugs that are being administered to dogs under treatment who suffer from seizures early in the course of therapy find safety in enemas. Enemas can dispense emergency medications to treat unexpected seizures in dogs. Much like humans, when animals don't feel good they become difficult to work with. At Montana Compounding Pharmacy, Pharmacist and Veterinarians work together improving and maximizing the therapeutic success of your livestock, exotic animal, zoo animal and/or pet.